As a little girl, Michelle Payne (Teresa Palmer) dreams of the impossible: winning the Melbourne Cup — horse-racing's toughest two-mile race. This is her story. 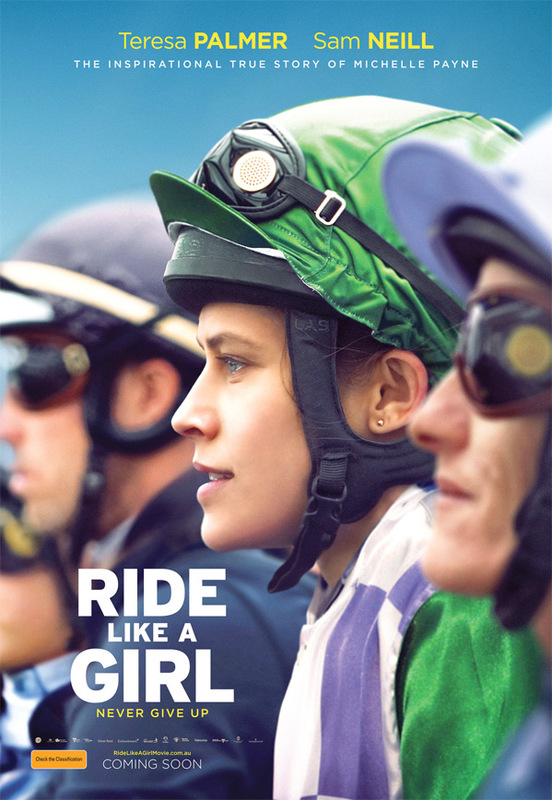 Ride Like a Girl is directed by Australian actress-turned-filmmaker Rachel Griffiths, making her feature directorial debut with this film, after a few short films previously. The screenplay is written by Andrew Knight and Elise McCredie. Produced by Richard Keddie and Susie Montague-Delaney, co-produced by Naomi Cleaver and Felicity Stoward. This hasn't premiered at any film festivals or otherwise. Transmission will release Ride Like a Girl in Australia starting on September 26th this fall, but no official US release date has been set yet. Stay tuned. First impression?